If you're here from Instagram, then you know who I am and what I'm all about already, and if you're here from somewhere else, welcome! 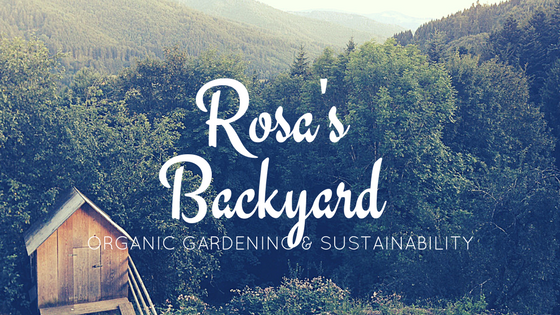 I'm Daynah-Rose, an organic gardener in Tasmania, Australia. I'm all for non toxic, environmentally friendly, sustainable budget gardening. Since I want to get to know you and be totally involved with my audience, I'll tell you a little about what to expect here. 1. What I'm doing outside. This consists of upcycling and growing vegetables and getting really excited when a bird gets close to me. I share tips and tricks as I come across them and then I share my massive failures that you should try and avoid. 2. DIY and how-to guides for non toxic pesticides and fertilizers, as well as little garden features, plant propagation and companion planting. Things like that. 3. Product reviews. Tours of garden events in Tasmania. Questions I want you guys to help me with when I run into something new outside. The rest is a surprise. I'm really excited to finally be running a blog and I've been working super hard over the past month to get some content ready to go for you guys to enjoy. I'm not the only who is excited about it either! As you'll already know if you follow my Instagram, Hoselink Australia have donated a Premium Ned Kelly Starter Kit valued at $56.50 and The Seed Collection have donated 35 packets of flower, vegetable and herb seeds to celebrate the launch of my blog, and this will be going to ONE lucky subscriber who enters my Instagram Competition! There's some really cool extra goodies in the prize as well that I've thrown in myself, so head on over to see how you can enter. Well that's all from me! Hope to see you soon!